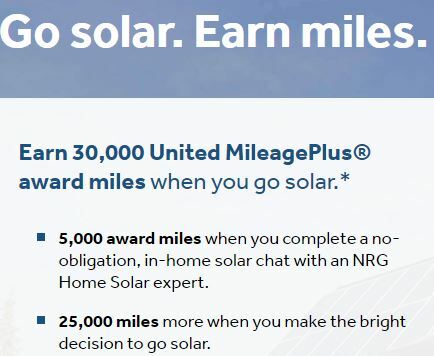 NRG Home Solar has a series of offers for 2,500 to 5,000 free points/miles in various programs for setting up a free in-home consultation to discuss a solar energy solution for your home and an additional 12,500 to 25,000 miles/points if you signup and install solar panels. I was able to find offers for five programs with direct links below. 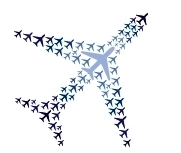 I’ve read through the fine print of the offer and it seems as long as you qualify for a free consultation above then this should be an easy way to earn 5,000 miles which I value at around ~$75 if you choose the AA or United offer. I’m not sure how much time you will need to commit to the consultation (which is at your house, I can’t imagine it’s more than an hour or so), but I’d say this is probably worth considering if you have some free time and don’t mind the inevitable hard sell.